Lovely weight and feel. 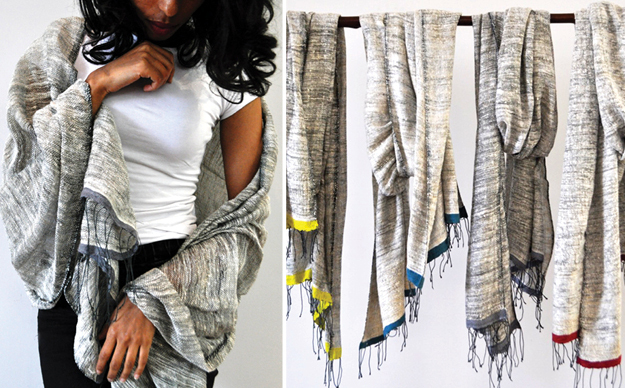 The silk and cotton is woven into an ivory/gray melange with an eye-catching border in 4 colors. Hand wash. This wrap is great to wear year round. Hand wash cool. Hang dry. Iron low as needed. No bleach.